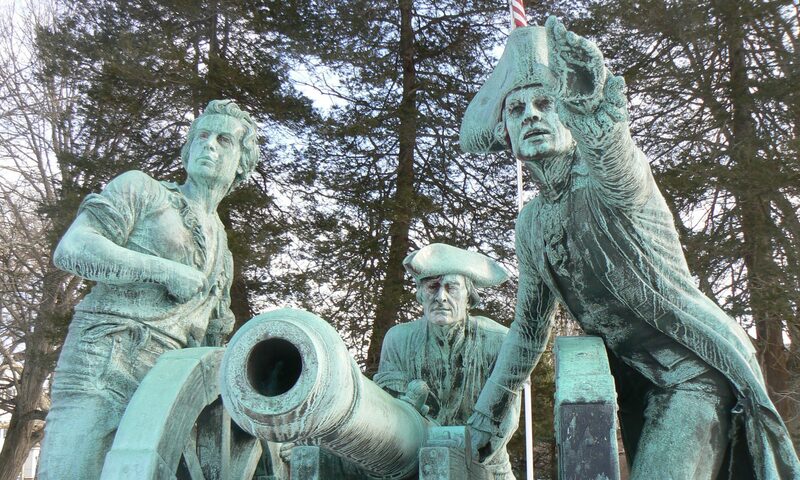 Civil War Monument, Chatham, Mass. 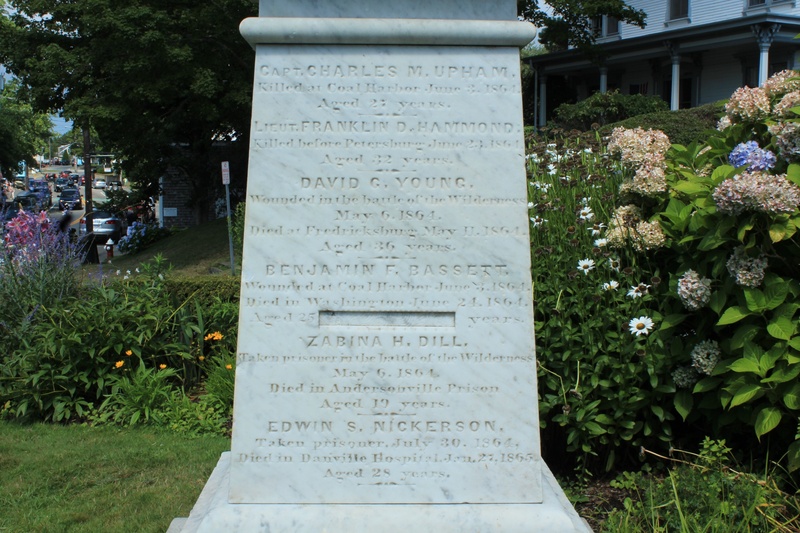 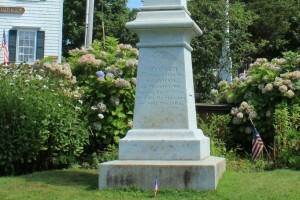 Chatham, Massachusetts, honors its Civil War heroes with a marble monument on a Main Street green. 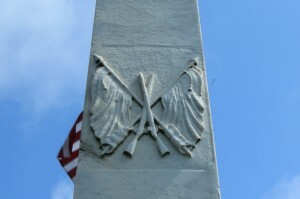 The southwest face also bears a decorative trophy depicting crossed rifles and flags. 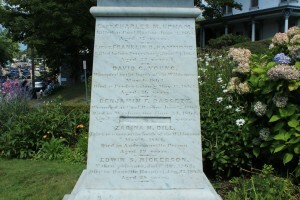 The southeast face lists the name, affiliation, ages and details about the wounding and death of six local veterans who perished during their Civil War service. 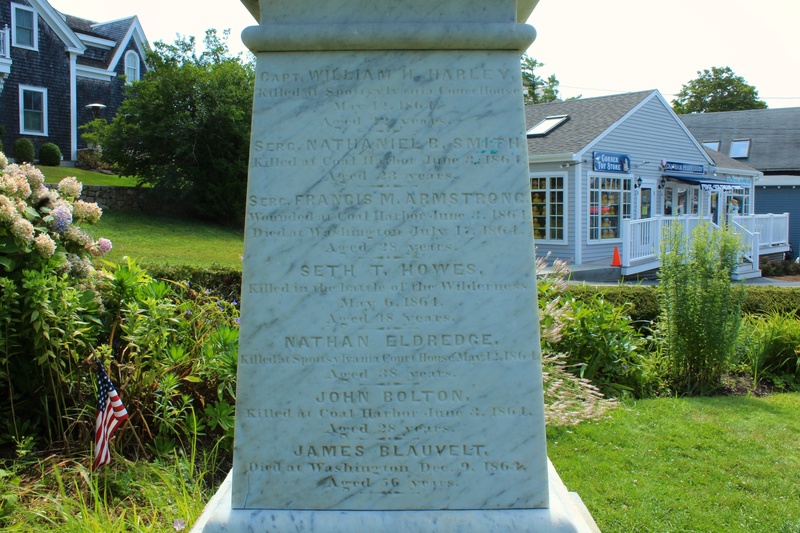 The men ranged in age from 19 to 36, and the listing for Benjamin F. Bassett appears to have a correction for his age (an uncommon occurrence for a marble war monument). The northwest face lists seven names of war heroes who ranged in age from 18 to 56. The monument has been attributed to sculptor James H. Jenks. The monument is not dated, but its similarity to other monuments from the late 1860s (including the 1865 Soldiers and Sailors Monument in Wellfleet) would suggest the Chatham monument was dedicated during that general period. 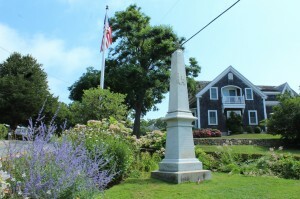 Previous PostPrevious Soldiers and Sailors Monument, Wellfleet, Mass. 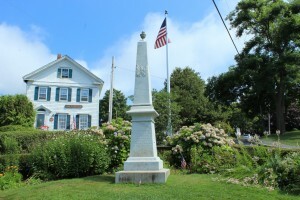 Next PostNext War Memorials, Brewster, Mass.